Laser engrave the haft or blade of your Opinel. Treat your loved ones or yourself to a unique and original personalised knife. You can engrave a first name, a date or any other message on one line of text, up to a limit of 20 characters. The engraving service is available per copy from €5. If you want to order dozens of copies for a wedding, an association, or for business gifts, please ask for a quote. Need some help for your engraving ? 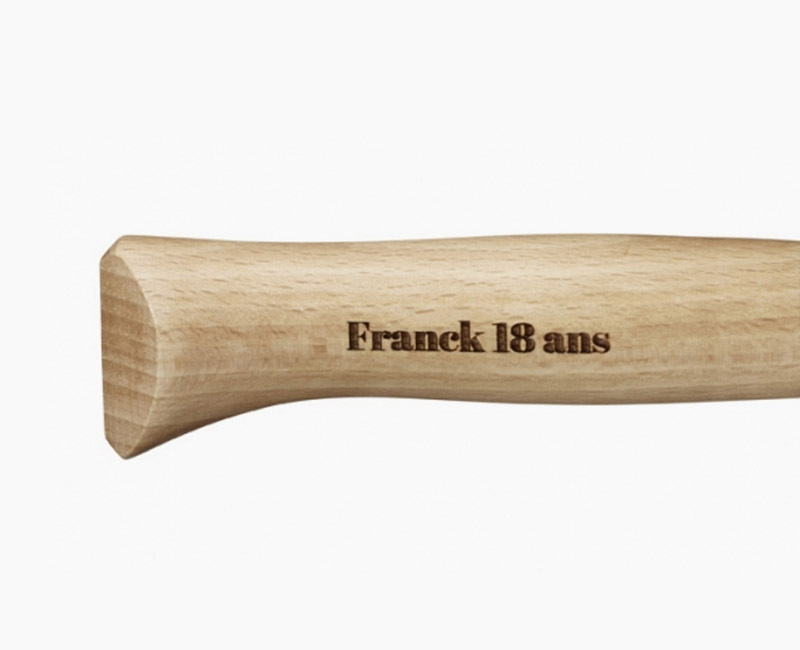 The shades of the engraving colour on the handle can vary depending on the grain of the wood. In accordance with Article L-121-20-2 No. 3 of the Consumer Code, engraved items are neither returned nor exchanged. The warranty on manufacturing defects remains the same.